Red D's Upcoming Gigs Thu 18 Apr, 19 WPH x Play Label @ Listen!, Kanal Centre Pompidou, Brussels, Belgium Sun 21 Apr, 19 Abstrkt x Moonday Open Air, Flanders Expo, Gent, Belgium Thu 25 Apr, 19 Midweek Melodies, Kapitein Cravate, Gent, Belgium Fri 26 Apr, 19 Ampere Club, Antwerpen, Belgium See the full listing here http://gigs.gigatools.com/u/RedD Powered by GigaTools The Essence Sure, Red D could say that he was influenced by *insert credible genre of music here* or that he got his big break at *insert name of credible legendary but now closed club here*, but who really needs to know? Let’s just say that when playing some records, making some music, throwing the odd party and running his label We Play House Recordings Red D does it with passion, lust and a healthy dose of putting all things in the right perspective. More? Red D is considered to be one of the leading figures in Belgium’s (underground) music community. With a vast musical knowledge that spans past, present and future Red D is spreading his gospel at all major Belgian clubs and festivals like Ampere, Fuse, Paradise City, WeCanDance and is just as readily crossing borders to go and play at Panorama Bar in Berlin, (ex) Trouw in Amsterdam, Corsica Studios in London and many many more. When Red D is not out and about playing music or digging for records he is lovingly running his label We Play House Recordings. 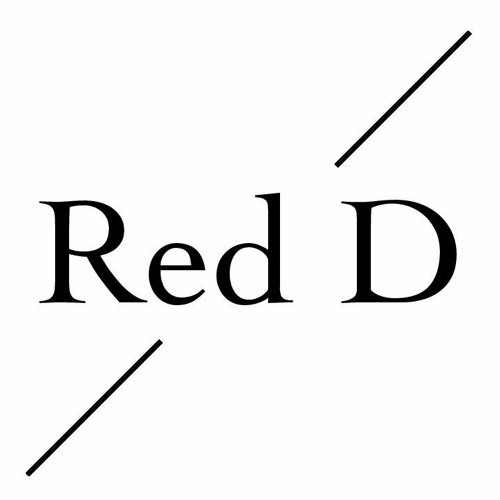 Over the 10 years that Red D has been leading the label it has become an outlet for the music of such luminaries like San Soda, Russ Gabriel, Locked Groove, Metrobox, Reggie Dokes, Deetron, Kai Alcé and also FCL - the studio collaboration between Red D and his lifelong friend San Soda. In recent years Red D has also focused on his own music production with two E.P.’s on legendary UK label Freerange Records as a result and much more to come in the near future. It’s all about good music and a serious dose of fun!